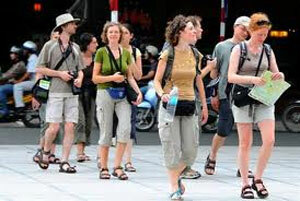 Ho Chi Mi nh City is expected to welcome 4.1 million foreign guests in 2013 to post a year-on-year increase of 8 percent. It is looking towards the upcoming 9thInternational Travel Expo Ho Chi Minh City – ITE HCMC 2013 in September as an opportunity for meeting with potential international partners. The city would conduct other activities to build and develop tourism products and improve service quality to lure more foreign visitors.